much love, illy: February Combo Giveaway ft Kintage and Lovely Little Whimsy! February Combo Giveaway ft Kintage and Lovely Little Whimsy! i am sitting here rubbing my hands together - first because Georgia has proved to be chillier than normal and this sweater shirt is just not doing its trick. second, i am super giddy about today's fabulous giveaway by two super fabulous sponsors. once you see what they are giving away, i think you'll start rubbing your hands together, too - for good luck! 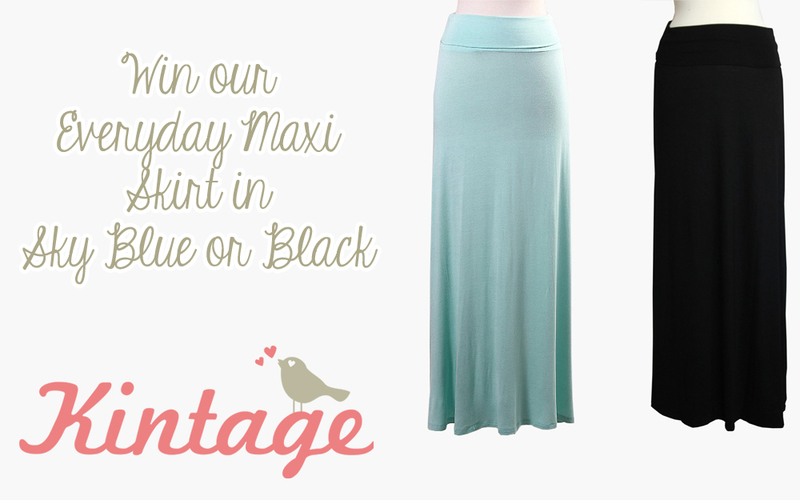 giving away one of their everyday maxi skirts in blue or black! carina of lovely little whimsy. 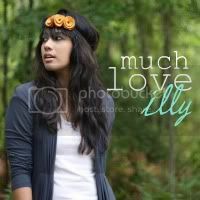 giving away $15 shop credit and one month of blog ad space on Lovely Little Whimsy (valued at $29). Giveaway is open to ALL Much Love, illy readers. Winner will be announced February 28th, 2013.
p.s. the winner of the Lulu's $100 Shop Credit giveaway is Amber Cannon! Shoot me an email at muchloveilly at gmail dot com to claim your prize. congrats to Amber and thank you, Lulu's for a rocking giveaway! Perfection in chevron is on my wish list! From Kintage I love the Chloe Multicolor Print Dress and from LLW I love the tiny floral print infinity scarf. I really love the hammered gold heart necklace! I really love the "Mustard Watercolor Floral Dress"...gorgeous! I really love the "denim blue floral flannel infinity scarf" from Lovely Little Whimsy. I adore the skirt you are giving away. :) I have never had a maxi skirt, but I would love to have one! Those maxi skirts are definitely my favorite! I love the dark pink, gray & black infinity scarf! hand painted gold and copper teardrop earrings are my favorite! The hammered gold heart necklace is really cute! I love the bow cuff bracelet, the polka dot bunny iphone case, and the sky blue maxi. the Back-Lace Dress in Forest Green is gorgeous! I love the hammered gold heart necklace! lovely little whimsy's floral print and pink, black and gray scarves are so cute! I love the blue checkered scarf! I love Charlotte's Garden Party Floral Dress at kintage! need that skirt! love carina. the new double silver chain necklace with a red flower. swooon. I would love a maxi skirt in ANY color! I def need to add one to my closet! I love the Chloe multicolor print dress!!! Love the hammered gold love necklace! and for little whimsical, i love all the infinity scarves! especially the dark brown tribal infinity scarf! Love the black maxi!! Great prices! the red houndstooth infinity scarf or tiny floral print infinity scarf are gorgeous! I love the charcoal crystal and gold dangle earrings from Lovely Little Whimsy! I like the hammered gold heart necklace! I like the Chased By Lace Dress! The Queen of Hearts Dress is adorable! I love the hammered copper heart necklace! Apparently their website is down because I'm only getting error messages on all my browsers, so bummer I can't find something fabulous to drool over. Maybe later. From Lovely Little Whimsy: I LOVE the dark pink, black and gray buffalo check flannel scarf !!! From Kintage: I LOVE the the everyday maxi. Have been DYING TO OWN ONE!!! From lovely little whimsy, I like the red houndstooth infinity scarf. omgomgomgomg i love this so much. Love the charcoal crystal and gold dangle earrings! Thanks for the chance to win such wonderful prizes! Line by Line Dress is so cute at Kintage! Would love to win this! Thanks! My favorite item is dark pink, black and gray buffalo check flannel scarf! My favorite item from Kintage is the Tomato Red Bag by Flying Tomato! In love with this too! Oh my gosh, I know it's an easy pick because you're featuring it, but I LOVE LOVE LOVE this blue maxi! Awesome! The Gold Framed Crystal Teardrop Earrings from Lovely Little Whimsy are very pretty! 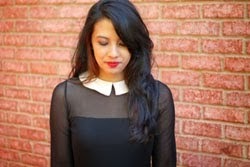 love the Above and Beyond Collared Top dress from kintage!! I love the Charlotte's Garden dress! I love the maxi skirts from Kintage! The Love necklace from Lovely Little Whimsy is so cute! love the painted coral statement necklace from love luttle whimsy! Love the Mustard Watercolor Floral Dress. I love the ziggy top and the oh deer scarf! I love the hammered gold necklace and the tiny floral print scarf! Love the X Marks the Spot tank! The LOVE necklace is so cute! pay day loan lenders to charge interest rates up to 25% to get a two week loan. I like the dark pink black and grey flannel scarf from the etsy shop. I really love http://www.etsy.com/listing/115821803/golden-arrow-and-small-stone-leaf-aqua from Lovely Little Whimsy.